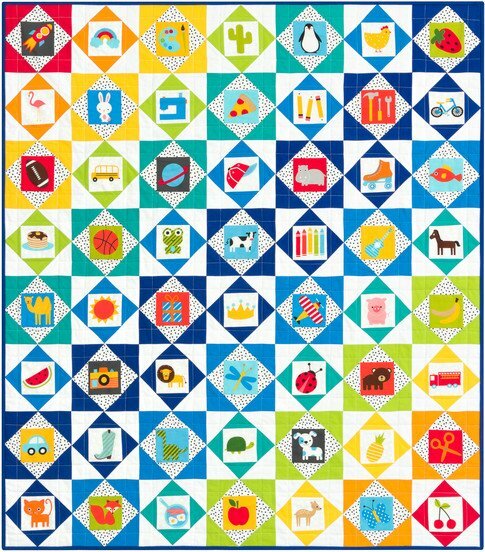 The I Spy Bermuda Quilt Kit is a bright and fun child's quilt! The I Spy Bermuda Quilt Kit includes the pattern and the fabrics for the top and binding. The finished quilt measures 42" x 48".